I have a Louisiana Leopard dog, also called a Catahoula Cur. 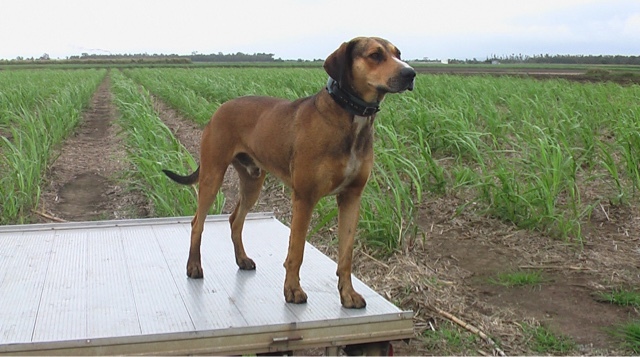 This breed is the state dog of Louisiana and is used to assist in taking down the wild boar population by baying the boar. The can have spots and may have cracked or blue eyes, and webbed feet. They are said to be derived from a mix of the Red Wolf, Alano Mastiff, greyhound and Beauceron. These wild hogs are nasty animals - if you remember in Old Yeller, these were the bastards that threatened Old Yeller near the end. 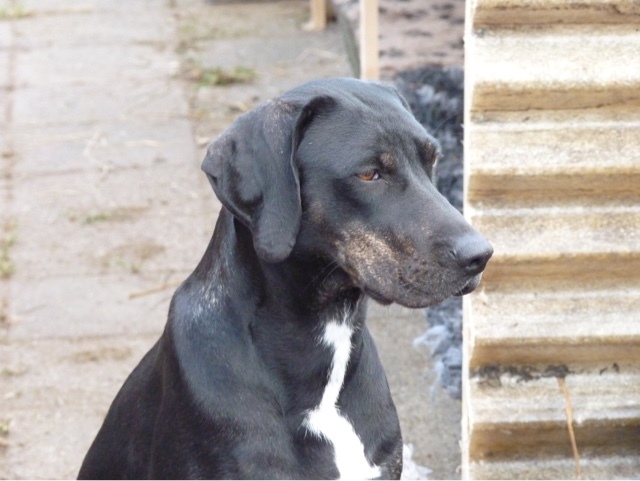 Most say Catahoulas are very protective, tend to be alpha and need a lot of exercise and mental stimulation. By watching the videos of them working with hogs, they appear aggressive, but are actually even tempered, just serious about their job. Abbey has a great history of them, for all interested! 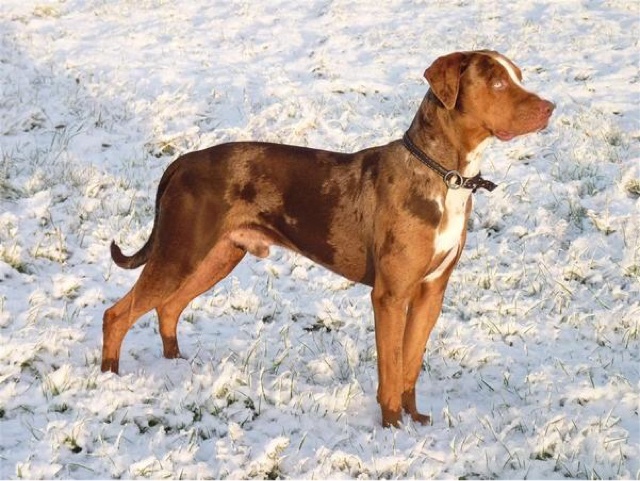 I'd never heard of a Leopard Dog before, and I thought I knew my dog breeds! Good luck with the rest of the A-Z Challenge!